The best things to do in Perugia. 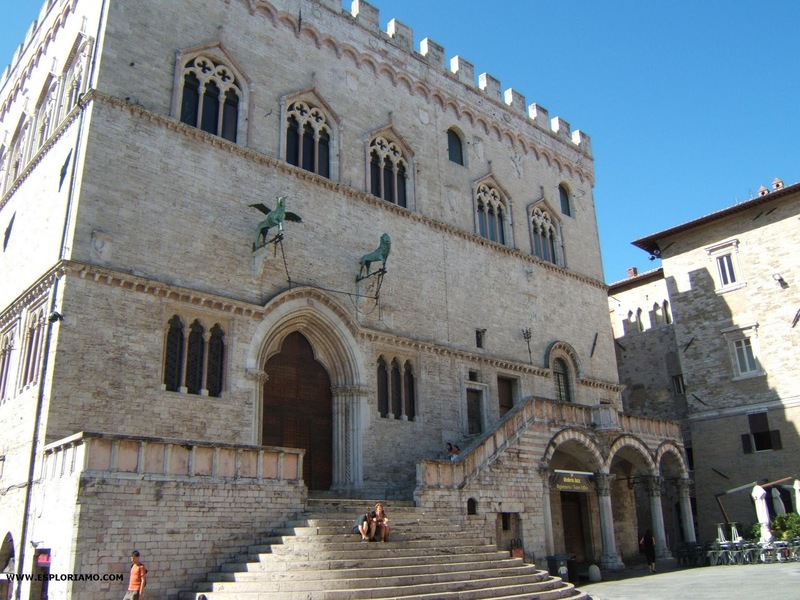 Our mini-guide tells you what to see, what to do and what to eat to discover Perugia! Perugia, with its steep medieval streets, breathtaking views and many delicious specialties to taste, has a lot to offer to its visitors. Our mini-guide offers a one day itinerary, full of curious anecdotes. Arm yourself with flat shoes because in Perugia you have to walk many climbs to conquer the heart of the city, the amazing Piazza IV Novembre (A). 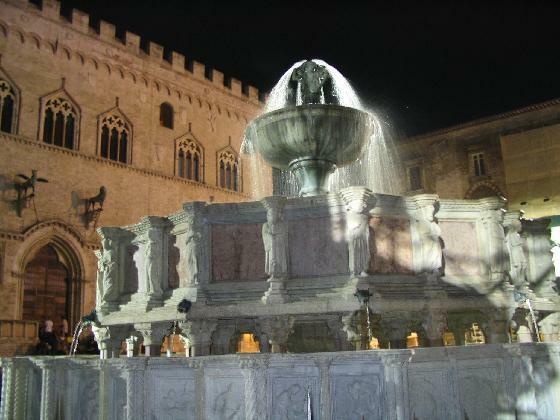 Here, the first of the things to do in Perugia is admire the famous Fontana Maggiore (B). The symbol of the city, was built between 1275 and 1278 by Nicola and Giovanni Pisano on a circular staircase, consisting of two tanks pink and white stone surmounted by a hollow bronze from which emerge three nymphs holding up a jar. The tank rests on top of the columns from which rise statues of mythical characters related to the founding of the city, the fifty tiles that decorate the lower basin depict the timing of the agricultural work, some biblical, historical and mythological, the two symbols of the city ( the griffin) of the Guelph party (the lion) and the Empire (the eagle), the seven liberal arts and philosophy. Have fun finding in the tiles two scenes from Aesop's Fables (cranes and wolf and wolf and lamb). Piazza IV Novembre is cloaked from San Lorenzo Cathedral (D) and the imposing Palazzo dei Priori (C), which hosts since 1878 the National Gallery of Umbria. Built in 1345, San Lorenzo Cathedral is dedicated to one of the patrons of the city. The side of the church that overlooks the square is actually the side panel, decorated only on the bottom side with a geometric pattern of diamonds in pink and white marble, while the entrance is located in Piazza Danti. Perhaps you did not know that... >>The pulpit of the Cathedral is called “of San Bernardino” because it was one of the pulpits of the sermons of the Saint. The influence of Saint Bernardino coincided with the drafting of Statuta Bernardiniana of which was endowed Perugia which prohibit gambling and dance halls. Built in Gothic style between 1293 and 1443, Palazzo dei Priori is one of the best examples of public buildings of the communal. You can access from Piazza IV Novembre, through a thirteenth-century portal decorated with the statues of the griffin and the lion. The interior contains different environments of considerable interest as the Notari Hall, composed of eight arches with different paintings that narrate legends, Biblical stories and maxims. National Gallery of Umbria's artistic heritage is organized in chronological order: the top floors of the headquarters contain works from the thirteenth to the fifteenth century, on the second floor from the sixteenth to the nineteenth century. Among all, outstanding masterpieces by Duccio, Piero della Francesca, Fra Angelico, Pinturicchio and Perugino, Raphael's teacher. Perhaps you did not know that... >>Pietro Vannucci, better known as Perugino and Pinturicchio have left their self-portraits painted in the halls of Collegio del Cambio, inside Palazzo dei Priori, blending between the bankers depicted. 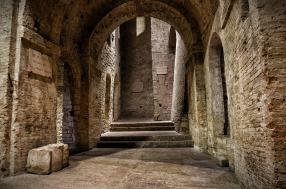 >> Do you want to discover Perugia's treasures? Check it out now of the best farmhouse in Perugia. 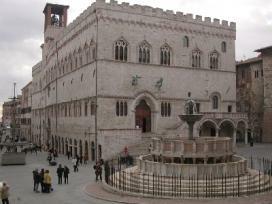 From Piazza IV Novembre begins Corso Vannucci with its shops and locals, the center of social life in Perugia. Perhaps you did not know that...>>The famous Bacio Perugina got his success when its originale name that was “punch” was changed in “kiss” and began to spread the fancy packages dedicated to lovers and inspired by Francesco Hayez's painting "The Kiss". One of the best things to do in Perugia is discover Corso Vannucci's locals and shops! Then we suggest you to visit Rocca Paolina (H), a fortress that was built by Pope Paul III after the sack of Rome. Its construction necessitated the destruction of more than a hundred homes but also of monasteries and churches. It was the symbol of authority and power of the Pope until 1860, the year of annexation to the Kingdom of Italy. Near the Fontana Maggiore, in Piazza Danti, do not miss the Etruscan Well (E), incredible engineering work built 300 years before the birth of Christ and perfectly preserved, it descends underground for 37 feet deep. Perhaps you did not know that...>> In July Perugia hosts the most important of Italian jazz festivals: Umbria Jazz. >> There are offers for vacation rentals and hotels in the areas of Perugia! Click and Consult them immediately. If you have some time left we suggest you other things to do in Perugia like visit Saint Domenico's Church (I) , the Oratory of San Bernardino (G), Saint Ercolano's Church, St. Peter's Basilica and San Severo Chapel (F). 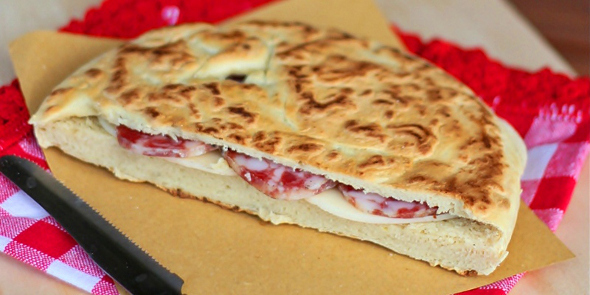 >>See the best restaurants in the area of Perugia! >> Click here and book. After have tasted all the best Perugia's food, we suggest you the best views for breathtaking photos: Giardini Carducci, Porta Sole, Aqueduct Stairs. >>If you've decided to visit Perugia and Umbrian cuisine you should contact now farmhouses near Perugia >> Click this link.